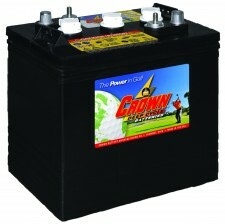 Need a reliable power source that you can count on? Cleantech’s flooded cell batteries use a liquid electrolyte to power a range of applications, like automobile batteries, telecommunications supplies and as a stand-by power source for industry. With a wide range of applications, these batteries still dominate the market in terms of performance, reliability and cost. Cleantech Gulf is proud to supply internationally-leading wet/flooded-FLA batteries to our UAE customers. You may be wondering what separates us from competing suppliers in UAE and Saudi Arabia. To put it simply, we only settle for the best. There are no shortcuts taken when deciding what products we offer; in fact, each and every item in our range is held to strict criteria to ensure it is fit to achieve the results you need. We support the use of biodegradable detergents and make an effort to reduce energy and water consumption as much as possible, while still offering you the same results for residential, commercial and industrial cleaning. We aim to stock absolutely all the products, equipment and machinery you need to get any kind of cleaning job done efficiently and to high standard. Our full range includes industrial sweepers, ride on scrubber driers, diamond grits, polishing pads, vacuums, pressure washers, housekeeping products, carts, trolleys and so much more. Browse through our website under each category and see why businesses from so many different industries come to us for their cleaning supplies. Whether you are looking for anything from a specialised escalator cleaner to deep cycle batteries in Dubai, you can trust a Cleantech product. We are always happy to take enquiries, so give us a call on +971 4 8865075 to speak with us directly or send us a message through our online contact form. Whatever your needs may be, Cleantech Gulf has you covered!